hi Laura, you’re more than welcome to ask away. I hope someone can help. Have you tried a search on Ebay? If anyone can help Laura out, please get in touch. I took delivery of this machine yesterday but am having real difficulty with the straight stitch, I can’t get a straight stitch that does not look like a piece of thread laid on the top of the fabric. It is almost as if the stitch is not properly formed although it is? Difficult to explain but there is no way I can use the straight stitch as a top stitch it looks dreadful, any ideas where I am going wrong. Hi Lyndsay, I dont have the same machine but another Frister and Rossmann. I had a similar problem the first time I used my machine and it turned out that the bobbin underneath wasn’t set up right (I hadn’t taken it out of the machine and ensured the thread was through the bobbin tension correctly). Once I had done this it works perfectly. My own fault for assuming the machine came with the bobbin pre-loaded correctly for me! Hope this helps. thanks for your suggestion, great to get your input. Hopefully that might be the quick-fix solution for Lyndsay to try. Thanks for that Liz. I didn’t have any luck with any fault finding techniques so I sent the machine back for a refund. I have ordered a Janome and will collect it when I return from holiday! Hi, ive just read your comments and wondered if thats what is wrong with my machine. How did you fix yours please. Hi there, I too have this machine. I’m struggling with how to use the ‘cut & hem’ foot which came as an accessory. I have some t-shirts I would like to shorten the sleeves on. Do you have any tips/tutorials on how to attach and use the foot? I’ve still to try this cut & hem foot. Once I do though I’ll post about it here with any tips, etc. have had chance to try out this foot and will be posting a tutorial on it asap. Look out for it within next few days. Have posted the tutorial now. Check it out in the Tutorials category. The embroidery features are quite good, will be doing a post about it all soon including images on how the alphabet looks and some info on it. I quite like it but turned out a bit different to what I expected. Look out for post about this soon. Hi suzie, could you clarify the maximum alphabet size as I am thinking about getting this machine. the alphabet size is quite small, goes up to 6mm in height. Hope that helps? after looking for reviews for the QE 404 I have found your website. Since a couple of weeks I use this sew machine for quilting my first blanket. The first time it sew really nice and good but as I made embroidery stitches on the almost ready quilt the machine makes problems. The embroidery stitch is very unequally. It’s a pity and I don’t know if it was me who made anything wrong or if it’s the machine. The quilt ist with a H640 fleece in the middle. But as I sew only the fabric without the fleece the stitch was same unequal. So, what do I do wrong? Or is it the QE 404? If anybody of you Ladies know a proper answer you would make me really happy. Because it’s still time to give the machine back to the supplier. Hmmmm! I would try adjusting the settings on the machine first of all. There’s a bit in the instructions about adjusting a setting if the embroidery stitching is uneven. It’s the Stitch balance Dial, which is a screw located on right hand side of machine, above the on/off switch. You only adjust it by very tiny amounts. If the embroidery pattern is overlapping, you turn dial clockwise. If the pattern has spaces (too far apart) turn anti-clockwise. Remember just tiny adjustments until looks right. The other thing I’d check is the tension dial. Try at lower or higher settings (but need to be different depending on thickness of fabric layers you’re sewing. Lastly, check that you’re sewing with a new sharp needle which is the right thickness for the job and make sure it’s not bent in the slightest. Failing all that, contact the seller to see if they can offer any solutions and if get no joy then maybe think about sending back. Hope that helps, let me know how you get on and any verdict on what was wrong. where did you find “quite a lot of good reviews…”. I cannot find only one! Can you please give me the web-adresses. I already found reviews at Amazon UK and most of them are good. Here in Germany this Company (Frister & Rossmann) is not very popular. Customers concentrate more on Brother, Singer, Bernina or Pfaff. Thats why I couldn’t find reviews on the German market. That’s a shame it’s not popular there, I’m quite happy with it. Not had for very long though so hoping will stand up to the job in the long run! Sounds terrible and not good customer service, can anyone offer any advice to Jackie? hi, I got this machine a week ago and am struggling to program it to embroider words. I’ve never used a computerised machine before. Any advice would be gratefully received. Otherwise, I am really pleased with the machine. Hi Karen, I had never used a computerised machine before either, so it was all new to me and had to muddle through to try figure out how to program words. But finally got there and so I’ll do a post about how to program it if you like? Once you get to grips with it, it’s quite enjoyable to use. Im just wondering how you’re getting on with this machine a few months down the line? I currently have an 18 month old Brother BC-2100 and I’ve had constant problems with the bobbin tension and the machine not picking up the bobbin thread, but it’s intermittent and every time I call Brother it works fine! At this point I just want to buy a new machine – most of the ones I’m looking at are £350-£400 and don’t have anywhere near the features of this one or the feet. The fact that it’s so cheap is great but has me worried about it’s strength and reliability. I want to make bags with firm interfacing and proper quilts which is all out of the question with my machine. With the name, I’m guessing this should do those things but wondering if it actually does! My machine struggles with just four layers of quilting cotton – how does this one do with lots of layers / batting etc? Sewing Machines Direct told me they don’t think this would as durable as a Janome or Pfaff so I’m really unsure. I’m still not sure how long this one is going to stand up to the test of time, especially with lots of layers. I use lots of layers when making some of my bags – main fabric, interfacing, interlining, lining. So far it’s coped well with this but I’m not sure if it will last as long as I’d like. The features with this machine are great, for the price you pay, but you usually get the quality you pay for and I wouldn’t like to suggest that this one will remain robust enough. I just don’t know at this stage. 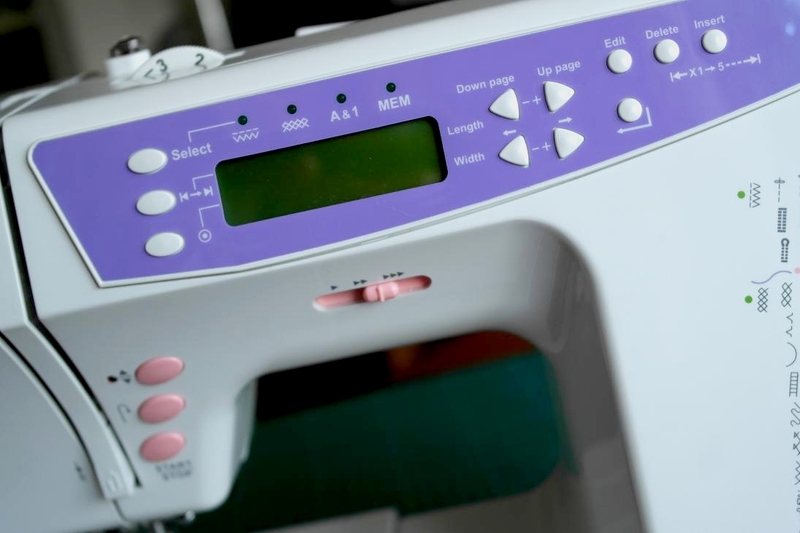 If you have £350 – £400 to spend, I would definitely look at more robust brands like Janome and Pfaff and Brother, etc and look out for good models on sale so that you can get more for your money. Although this one has loads of extra features, many won’t get used and it might be worth paying a little extra for less features. 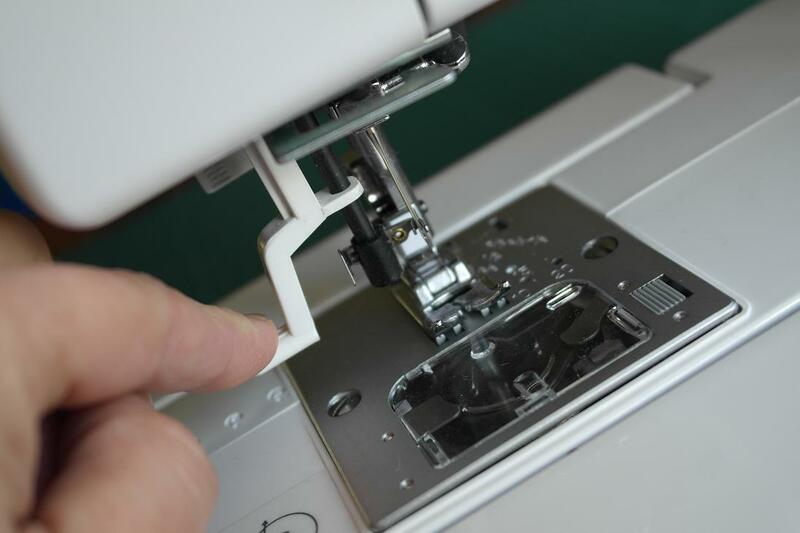 At the moment, I’m swapping between the QE404 and my original Janome 7025 – quite a basic sewing machine but it does the job (and back to normal after being fixed – it had to go back to the manufacturer’s to have the hand wheel lubricated. This is a part that is supposed to self-lubricate with use, but they tell me maybe hadn’t been lubricated enough when made!) I’m now making sure I swap the machines over each week to keep them in use so that not sitting around unused. You need to unscrew the presser foot holder (the bottom half of the presser foot arm – there’s a screw at left hand side of presser foot arm). This will leave you with just the top half of the presser foot arm. See the image at the beginning of my Cut and Hem post. Then place the two pronged holder of the embroidery foot around the presser foot arm, at the screw position, and replace the screw to hold it firmly in place. Let me know if still unclear and I’ll post some images. Once you’ve followed the steps given, take the needle down and then back up and the bobbin thread should be caught on it, pull it through. Hope that helps. Hi. I have the F+R QE404. I’m trying my first freehand quilt. I have lowered the feed dog and now can’t get it to go back up. I’ve moved the lever on the back of the machine side to side, but nothing happens. Help? Hi Karen, it’s fine don’t panic – I did when that first happened to me too, thought it was broken. When you lower the feed dogs they make an obvious movement (and thunk) as they go down. But when you slide the button back there’s no movement at all and no sound. So, it appears that they haven’t come back up. But if you start sewing, they will move up and down as normal. I know, seems really strange. Test this out by taking both the needle and bobbin threads out (so they’re out of the way). Slide the button to the position where the feed dogs are lowered, turn the hand wheel towards you, (keep turning) to get the needle going up and down, and you’ll see that the feed dogs don’t come up. Now, slide the feed dog button back to normal and do the same again with hand wheel. The feed dogs should start moving. Hope that helps, if it doesn’t though give the retailer a call. Hi all, i’ve had this machine for a little while and keep getting the same problem. When i’m sewing a zigzag stitch, every so often it misses stiches. I’ve tried adjusting tension etc. but to no avail. Any suggestions? Hi Maria, yep this one doesn’t need the handle pulled out. You’ve probably already done this but make sure you push the bobbin winder to the right and (although instructions don’t say, make sure the needle is at its highest point.) The only other thing I can think of is that you need to press on the foot pedal quite gradually/slowly. If its pressed down too quickly it won’t work which might be causing the error. Hope that helps, if not I’d contact the seller. Hi. Have found reading your blog very helpful and have just bought a Qe 681. I have just started quilting and warned something a bit better than my very entry model singer. I received the machine on Monday from sewing machines direct after ordering from sewing machines direct . Very good service considering we live in Belgium! Free delivery too. So far so good , have been having a playground with it and it seems to cope well with the walking foot and quilting layers. The one thing that concerns me is the bobbin see through cover, seems to be quite flimsy and does nit always lift easily. Have you had any problems ? Will be having a look at dome of your tutorials. Hi Julie, am considering buying the 681C at the moment but can see very few reviews for it. What do you think of it? Does it seem fairly robust. Need it for quilting and bag-making. Quite attracted by the price but a little voice keeps telling me – you get what you pay for. Is it just too cheap? Hi lynn. Have used my machine for a couple of weeks now and have made a quilt . I really wanted to buy a Bernina but the price was obviously a lot higher . The machine seems to have been fine.having the extra feet And extension table included was a factor for me when buying too. The only problem I have had is when trying to use a rayon embroidery thread , it was fine with straight stitch but could not cope with a pattern , not sure if it was because I needed a different needle ? If anyone has any advice on that I round be grateful. I used the thread that came with the machine and cotton threads and they have been fine. The machine is not going to be as robust as a bernina but I think it seems good value for money. The one thing that concerns me a little is the bobbin cover is a bit flimsy but seems to be ok when you get the back of fitting it in correctly. Think it comes down in the end as to how much you want to spend really. Would still like a berina one day. Hi I am desperate of Cheshire. My lovely machine which was my mums is doing lovely stitches but the pattern on the underside of the fabric. What am I doing wrong. Is there a nifty switch which I have pressed. It was sewing fine – pattern on too and then somehow next piece I inserted it’s started sewing the pattern on the underside. I am so fed up. Anyone please ?? Thanks everyone for you replies. I may just be tempted in the next week or so. It seems such a good price. For me it will be a back up machine but will still get used a fair amount. I already own Janomes, the 607 and SMD2000. Both great machines but there is always room for a back-up. It has been so helpful to read your comments. I had the Frister Rossman for my birthday last week, but found the instructions next to useless! The machine is lovely and I’m slowly getting to grips with it but nice to know I can ask on here for help. Hi Berny, yes please do ask for help here whenever you need to. Happy Sewing! I watched a youtube about using a gathering foot. When I used the one which came with my machine I just got an ordinary straight stitch. Can you help, please? Hi, this happened to me too, have you managed to work it out yet? I worked out if you put tension on number 9 and longest stitch length it gathered. But couldn’t attach top piece of material as shown in youtube. Need a different foot I think. Hi Berny, the foot that I have, that came with the machine, is just capable of gathering the material – as you say you need to have the tension at 9 and longest stitch length. It doesn’t gather very much but if you help the fabric to go through a little quicker than it naturally takes it, then it gathers more. There’s a different gathering foot you can get (probably the one you saw on youtube), which has a horizontal slot between the lower and upper part of the foot – the fabric to be gathered goes under the foot and the fabric to stay straight goes into the slot. Do you know if any snap on feet for other machines work on the frister and rossman Qe404. It’s difficult to find accessories for ours but the likes of singer and Bernina and janome supply lots of different feet. Hi Berny, I have a Janome as well and find that most of the snap on feet from the Janome fit on the F+R too. I mostly buy universal snap on feet so that I can use them on both machines. Where did you get your cut and hem presser foot from or did it come with the machine? Or is it the one also known as the narrow hem foot. Think I may be using that one quite a bit. Mine came with the machine. Ensure the first pattern selection light is lit, if not press the ‘select’ button until it is. Then press the pattern selection button (the circle with the backwards L shaped arrow). Next press the right-hand button ‘+’ of the width selection to highlight the zig-zag stitch. Press the pattern selection button again. Adjust the length and width to what you want. So glad you mentioned about the thread in back to front. Started using my new 681 yesterday and exactly the same thing happened to me. Saved me a lot of panic! Should be a tutorial on Susies blog above. 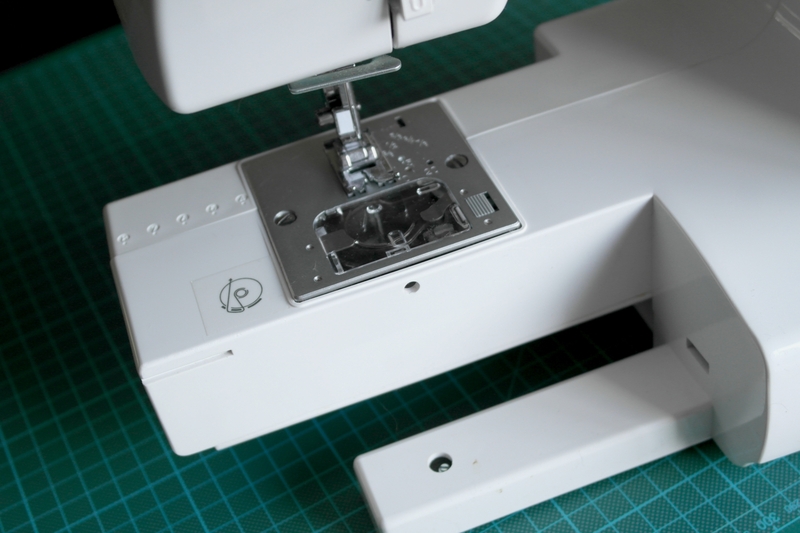 The cut & hem foot I have is a universal one, says on box will fit most zig zag machines – it’s called the Side Cutter II – Overlock Cutting & Sewing – Model no: R-CT10. 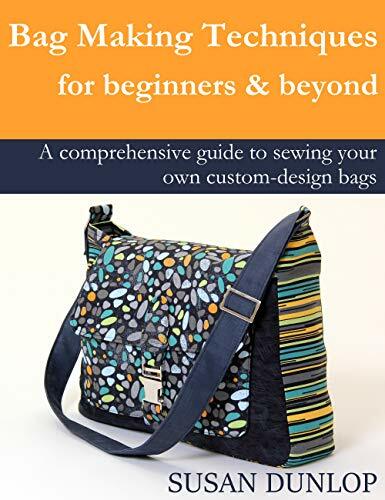 For UK, it can be bought here: http://sewingparts.co.uk/frister.html (scroll down to find it, costs about GBP15). 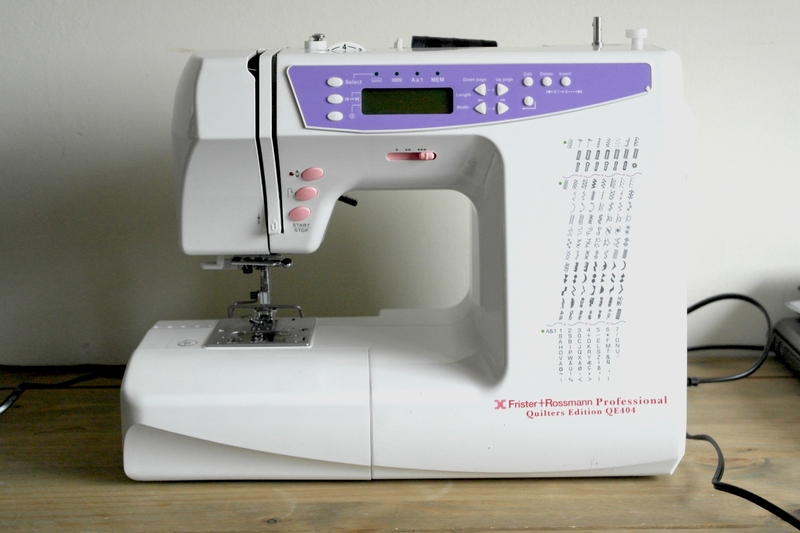 hi I have this machine, could you tell me how to do the buttonholes or can you do a tutorial. I have to keep turning the fabric, but I thought it should be automatic, I must be doing something wrong. yes, I’ll do a tutorial. I’m guessing probably the pull down button arm not set properly. I’ll try get this posted asap. Yes, I do. I could scan the pages and send to you. Will do as soon as I can. But Im stumped on one thing. In the kit, there was a blue donut type thing. I have no idea what its purpose is and I wondered if you could shed some light? DH already has it in his sight for lego storage! Hello ladies, I have another question (no laughing) where is the 1/4″ mark on the guide? for some strange reason there isn’t any 1/4” mark on the guide of the QE404 (not sure if the other F+R are the same?). When I’m using this machine, with the standard sewing foot, I use the right-hand groove of the foot as a guide or you could stick a piece of tape with the edge running along where the 1/4” mark should be (1/8” to the left of the 3/8”) mark. It’s annoying that this machine doesn’t have this mark, isn’t it? Good idea! Yes, I use 1/4” a lot too so was annoyed it didn’t have that, but I’ve got used to using the foot as a guide now. I cannot pull up the bobbin thread. Please help. This has happened once before when it was new, but then worked for months. I have re threaded many times, changed needle, cleaned shuttle etc, used different thread and bobbin, everything I can think of- it’s doing my head in! Any suggestions? Hi, I’ve have a few readers ask me about an English instruction booklet for the QE404. I have one which came with my machine. I can scan it and email to you. Soon as I get a chance, I’ll do that if you like? Thank you Susie, I appreciate it very much…looking forward to receiving it and using my machine…it’s been sitting for 4-1/2 years since I purchased it. Thanks, again! You’re welcome. Will do as soon as I can. No problem, that’s great you found it. Happy sewing! Hold the bobbin with the thread coming out to the left-hand side. Drop it into the bobbin shuttle and bring the thread around to the front of the shuttle where there is a little indentation, near centre front. Bring the thread through this notch and then pull it gently to the left, then along a little bit to the second notch. Take the thread through this second notch and pull the thread out toward back of machine. Lay the excess thread across the sewing area toward the back of the machine. With the needle threaded up, hold the end of the needle thread out to the left and use the hand-wheel to bring the needle down and then back up again, keeping a hold of the needle thread. Once the needle is fully back up again, pull on the needle thread and it should bring up a loop of the bobbin thread. Pull this up. Pull both threads toward the back of the machine. Hopefully you should be good to go now. Are you in the UK or overseas? Lynda I had the same happen and contacted the ironing press (UK) they sent me a replacement within a few days.Now Im just not touching the screw through that slot-prefer to take it out completely. I must admit though I was disappointed when the bar on my overlock foot broke off. I emailed them to ask if they stock spares as I couldnt find them online. The response I got was “yes, call (telephone number) to order-£10″.I wasnt expecting a freebie, but an “oh dear, sorry to hear it. We dont show it online but you could contact me at (telephone number) to replace” would have been nice. I ordered a Janome foot (I think another poster asked about this too?) And it works perfectly. Susie, I have discovered the rolled hem foot-the book calls it the narrow hem. And I absolutely adore it.I am struggling to get it started neatly, and I wondered if you have any tips for me? thanks for your helpful reply to Lynda. Yes, the rolled hem foot is great (aka the narrow hem foot)! Once you get it started it works beautifully with very little effort but, as you point out, it’s notoriously difficult to start it off neatly. You need to roll over the start of the hem twice, keeping the double roll narrow. Then feed that part into the foot so that the fold of the rolled over section goes into the rolling bit of the foot. I use a pin (or something else narrow and pointy) to manipulate the fold through the rolling part of the foot, until the fabric is far enough through it to lower the presser foot. It’s easier to do this when you’re starting the hem at a corner but more difficult when it’s a hem with no beginning or end (such as the bottom hem of a top). In this case, I pick the starting point and double-fold over a small section. Hold it firmly, at the back and front of the rolled section and then work the fold into the presser foot. Sometimes it still needs manipulating with a pointy tool. Hello I have found your article and review very interesting, are you still very happy with this machine? Hi Carol, thanks. I’m pleased you’ve found it helpful. Yes, I’m mostly still happy with this machine although have had a few hiccups with it. It’s went back to the seller twice for a service and repair as it’s had a couple of minor probs. The first thing was that it made a horrible noise one day and seized up. It was promptly fixed and returned but I didn’t get an explanation of what was wrong. The second thing was that it started missing stitches and it just required to be serviced as worked perfectly after that. It’s been fine since. I change around from this one back to my trusty Janome 7025, which is a more basic machine but lovely to use. Both have pros and cons. The Frister is so much quieter and the needle up/down is a good feature. It also has more stitch options. The Janome though is extremely reliable and I just really like it. I’m happy with both these machines and it’s always good to have a back up when you sew a lot. I have a QE404 and have at last ‘made it go’! It is maddening as I do not have an instruction manual. I am desperate to use the machine properly but the computer selection is just a random hit and miss affair at present. I have even tried , in my total frustration to sell it on, but that was unsuccessful. I have gone blind trying to track down a source for manuals on the internet….all to no avail. I am wondering if you have access to a manual of sorts and could let me know how to get one, before I give up completely. I would be really grateful if you could help. Hi Lynda, I’ve been asked quite a few times now about the manual for the QE404. I got a manual with mine, it’s not fantastic as it’s an English translation and so a bit confusing at bits but I have an idea – I’m going to do a post with my own instructions for the machine to help anyone out who doesn’t have a manual. Hopefully I’ll explain it a bit better than the manual as well! Watch this space, will do as soon as I can. Fabulous idea…at the moment I am just pushing random buttons and hoping for the best, so I would be really pleased about your doing this. Will watch eagerly for updates. Thanks for the quick reply. I’ve been reading all of the posts with interest. I’m looking into this machine but wondered is the lettering just capitals or does it sew little letters too? Hi, yes just capital letters and numbers. 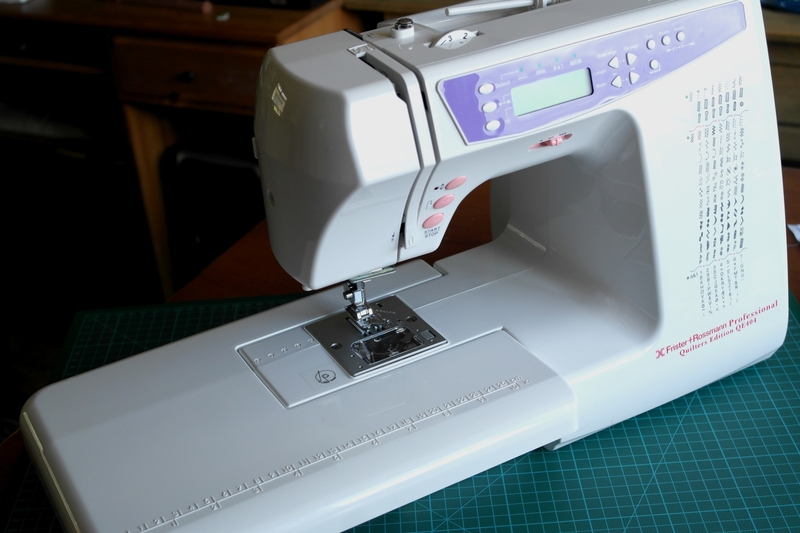 I am new to sewing ,and have just bought a second hand qe404 ,and no clue how to use it. Your post of your own instructions will be very useful.